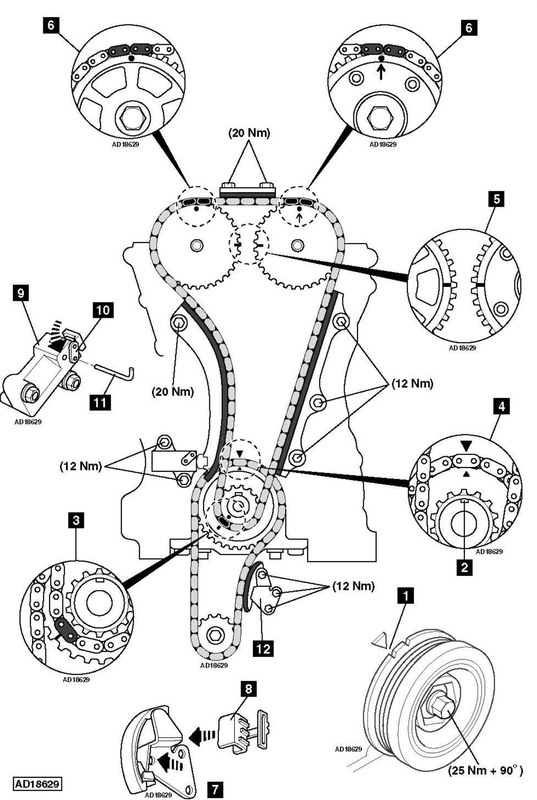 Honda Accord 2.4 2006 timing chain change instructions and replacement inteval. Full guide! Crankshaft pulley holding tool – Honda No.07JAB-001040A. Crankshaft pulley holding tool handle – Honda No.07JAB-001020A. Engine at TDC No.1 cylinder  . Ensure crankshaft timing marks aligned  &  . Ensure timing mark on each camshaft sprocket aligned  &  . Compress oil pump chain tensioner and install holding clip  . NOTE: An oil pump chain tensioner holding clip is supplied with a new tensioner. Install oil pump chain tensioner  and remove holding clip  . Retain in position with 1,5 mm pin  .